The Legend of Zelda: Breath of the Wild producer Eiji Aonuma has said the team considered making Princess Zelda the protagonist this time out. 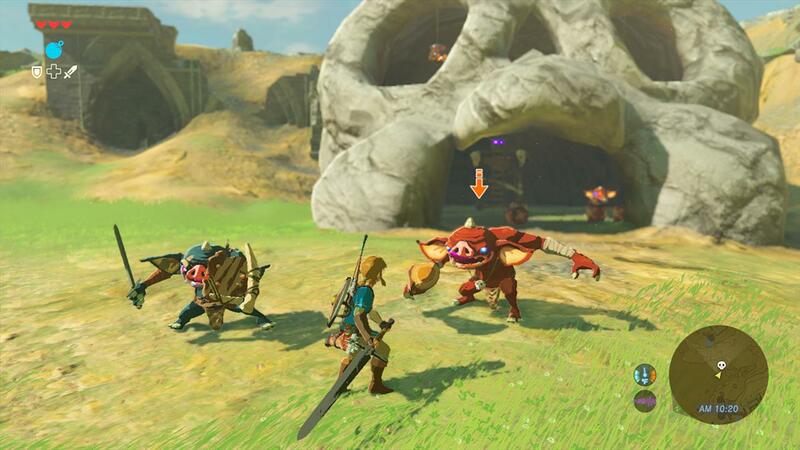 Speaking with Gamespot at E3 2016 this week, Aonuma said the team discussed the possibility of the player being able to choose Link’s gender, but despite the various rumors and discussions online, it was decided Link would remain the Link everyone is familiar with. When Aonuma and his staff discussed what would be possible should they use a female protagonist, they figured making Zelda the main character would be the easier route. “We thought about it, and decided that if we’re going to have a female protagonist it’s simpler to have Princess Zelda as the main character,” he said. It’s not as though there isn’t a female version of Link out there: Linkle was included in Hyrule Warriors. Aonuma nor Nintendo ever hinted that she would appear in the next Legend of Zelda titles. During its E3 2016 Tree House Live event today, Nintendo revealed The Legend of Zelda: Breath of the Wild. It is slated for release next year for Wii U and Nintendo NX and features a map which is 12 times larger that in the Twilight Princess. It will also be more landscape oriented as it doesn’t contain towns – this the “wild” in the title, we suppose. Plus, Hyrule is in ruins, so NPCs will be scattered about the map instead of condensed into cities. Link will also travel alone, so you won’t have to worry about a nagging partner like Navi.